An iOS is a mobile phone operating system created and developed by Apple Incorporation. It is distributed exclusively for Apple hardware. It has state-of-the-art environment which enables developers to create and produce powerful applications proactively. iPhone has several built-in applications, has quality peripherals, and provides direct manipulation in user interface (UI) for multi-touch gestures. The iOS kernel is XNU. Apps are developed using software development kit (SDK) with Xcode extension toolset – compilers and framework. 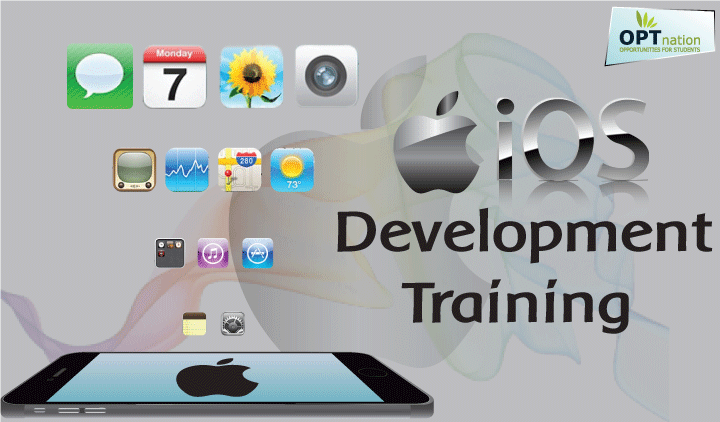 The iOS Development Training using Swift will introduce with the exciting world of iOS application development. Swift is a brand new programming language for iOS and OS X applications, both of which adopt safe programming patterns and adds modern features to make programming easier, more flexible, and more fun. This course will enable to design and develop applications for iPhones and iPads. Apart from the tools and language, you will explore design patterns, coding conventions and guidelines, and essential concepts like model-view-controller, storyboards, and delegation. Also learn what is possible within the new iOS 7 interface, and obtain a checklist for successfully submitting your app to the App Store. The working of approval process is a mystery in some cases. The App Store review guidelines are a big challenge as policies are left to the Apple’s discretion of what they fell is right. Getting used to Xcode updates is quite buggy, as they crash a lot. At times, the iOS SDK documentation can be minimal or misleading – with new features, Apple releases new SDK. The web services use older technologies like RSS instead of using the more modern protocols. It is difficult to stay tuned with frequent updation of the new features. Optimizing for performance is also a big challenge as it eats up an ample of amount of time. What should I know about iOS before attending the class? You should enroll for the class by simply registering with OPT NATION and familiar with OOPs and C language. Mac machine is what you require. The operating system required for this is Yosemite. The system with 4 GB RAM and OS with 32bit/64bit is required. Which training material do you use? We do not provide a particular book as by the time books become out of date. We believe in staying current. Therefore, we provide our own material created based on our extensive experience and contemporary relevance. The material is not consistent but updated time to time with SDK releases, which also integrates the newest iOS features. Can I purchase your material? Sorry, you cannot buy our material. But once you are a member, you can access the material for lifelong. Debit card, credit card, or Net Banking from all the leading banks – any mode of payment suitable to you is acceptable by us. It is simple and step by step follow up is provided at our site. Also for USD payment, PayPal option is available. Not only this, if you have problem in paying it as bulk, we have EMI option for you.